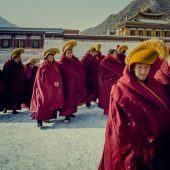 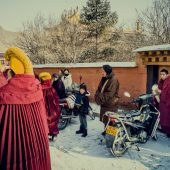 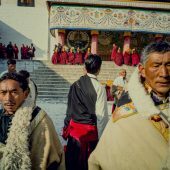 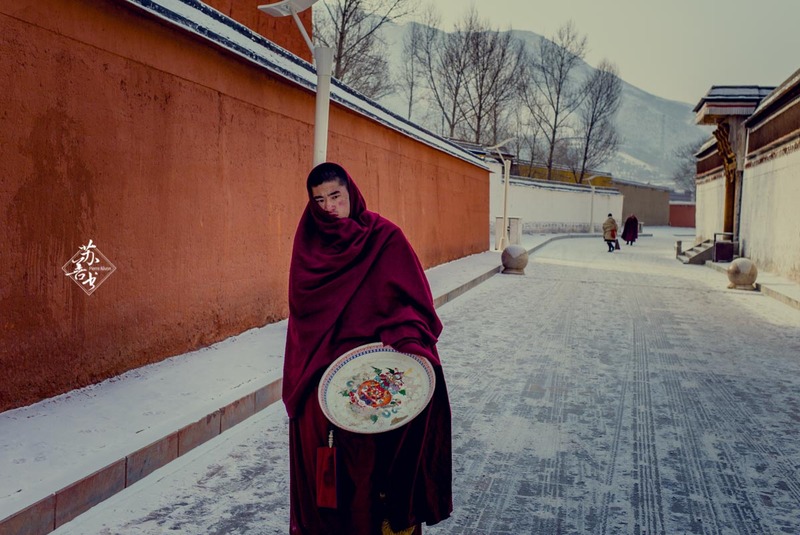 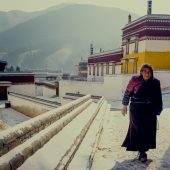 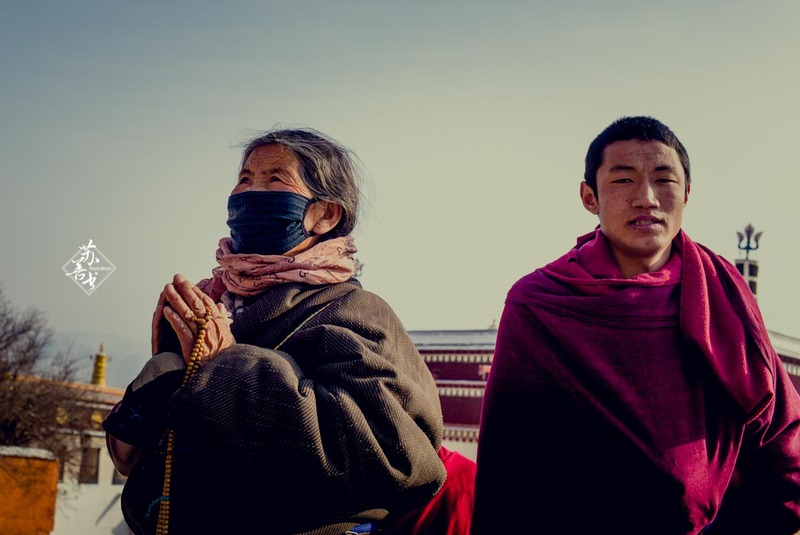 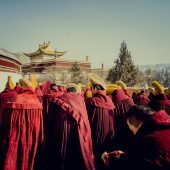 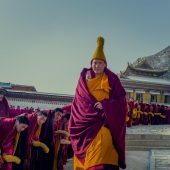 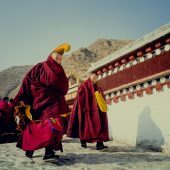 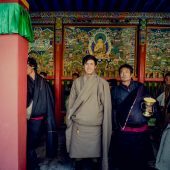 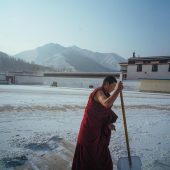 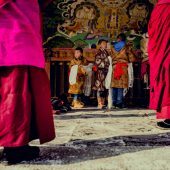 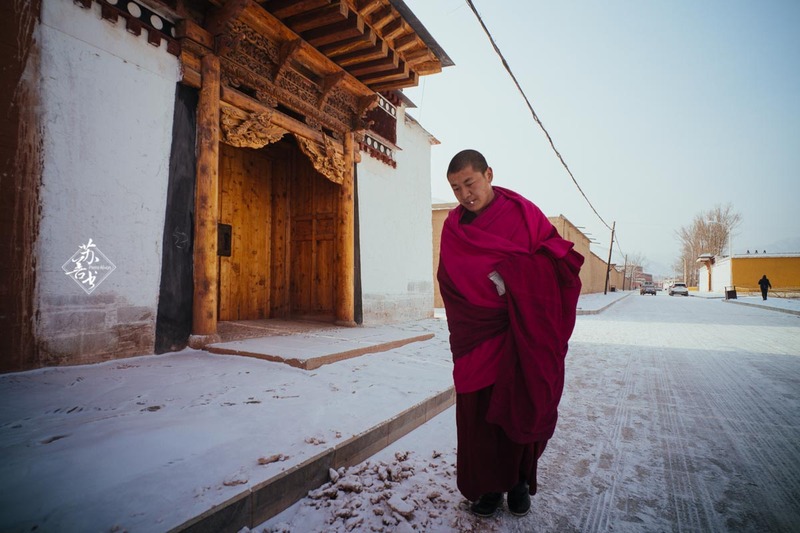 Arriving at the monastery of Labrang on December 29, 2018, I had the impression of arriving in another world ... 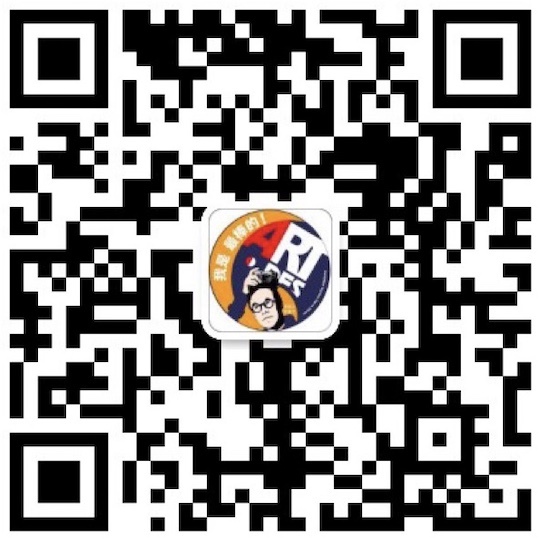 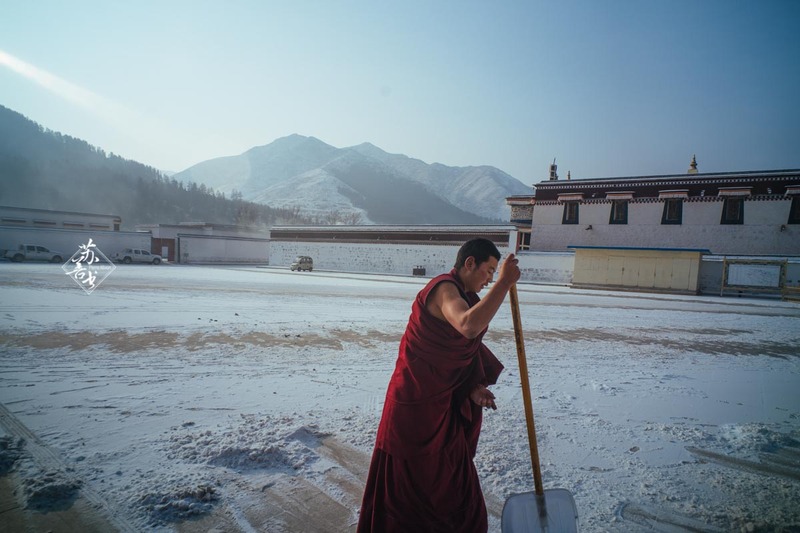 I landed with a temperature of -12 c, in only a few hours by car from one of the big Chinese cities, deep in Tibet! 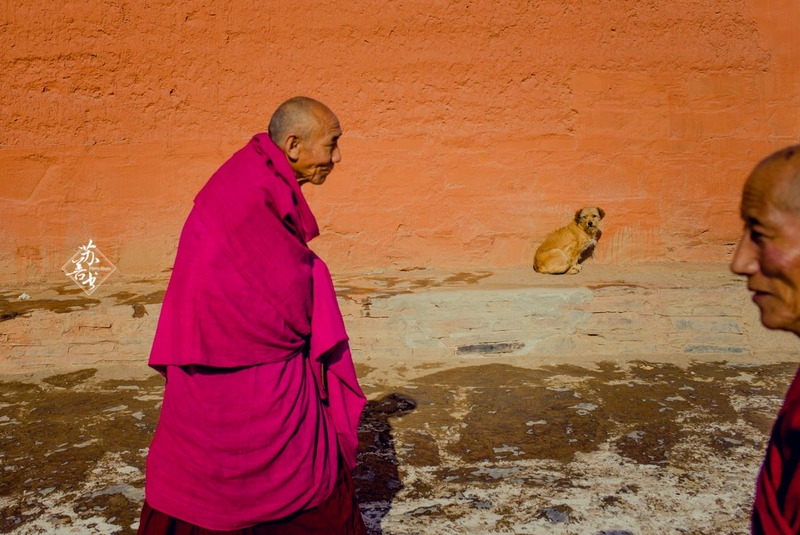 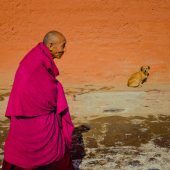 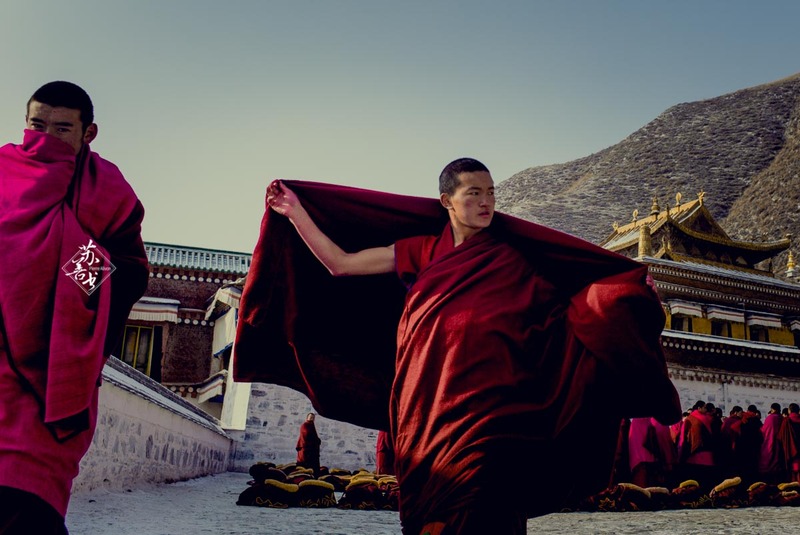 Here animals roam free in the streets, here the Tibetan pilgrims fill the shops, here the red dresses of the monks color the city ... 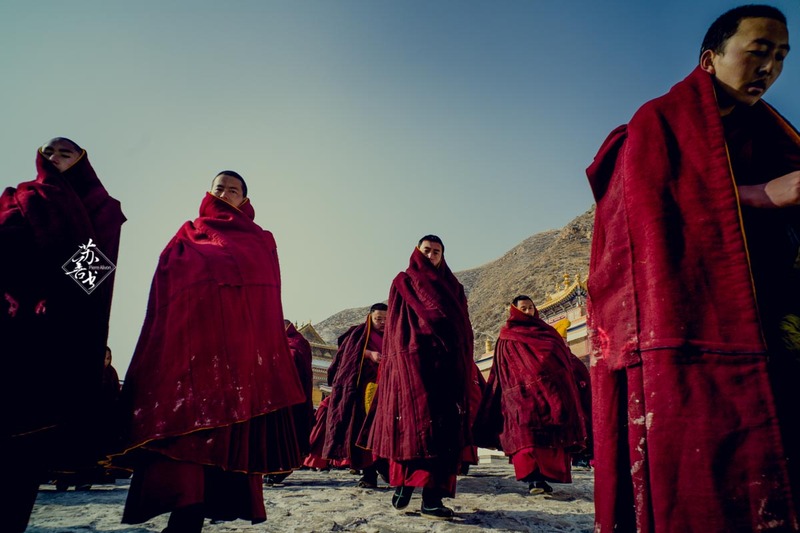 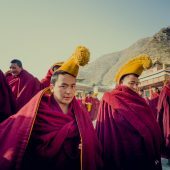 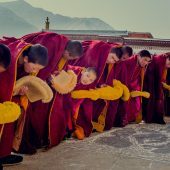 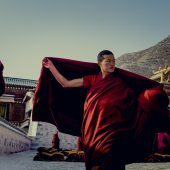 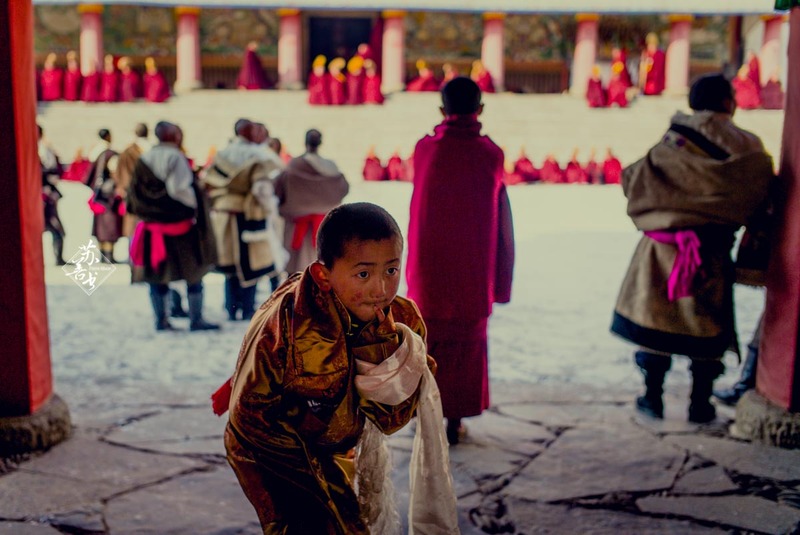 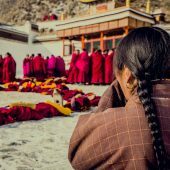 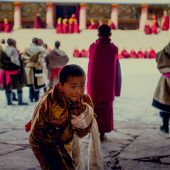 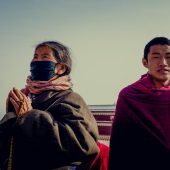 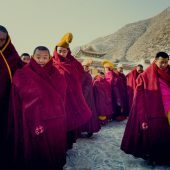 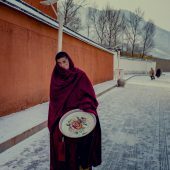 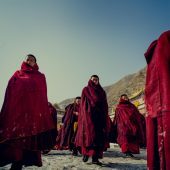 I am more than 3000 meters, where the breathing is short, where everyone wears this Tibetan jacket with long sleeves ... 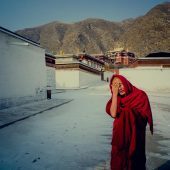 I'm no longer in China, I'm in Tibet. 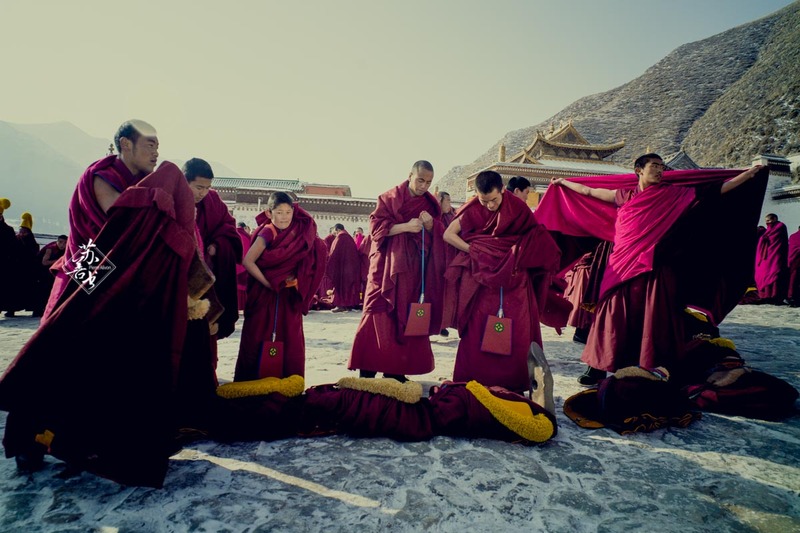 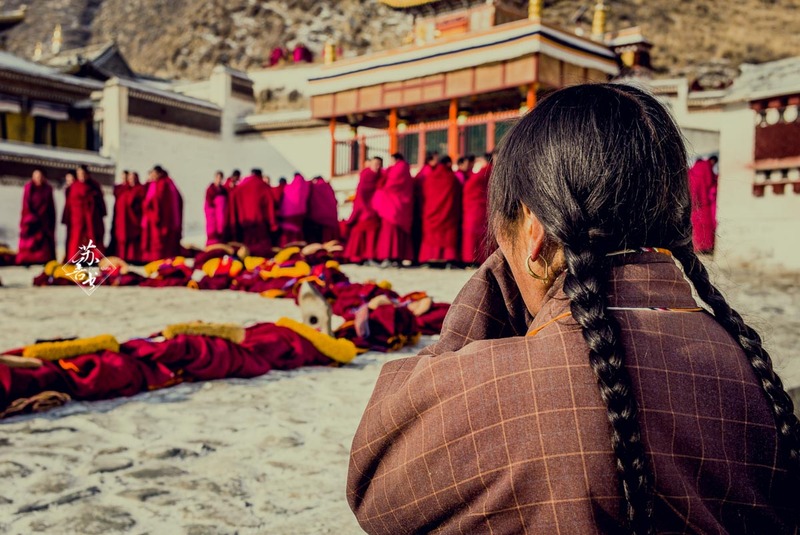 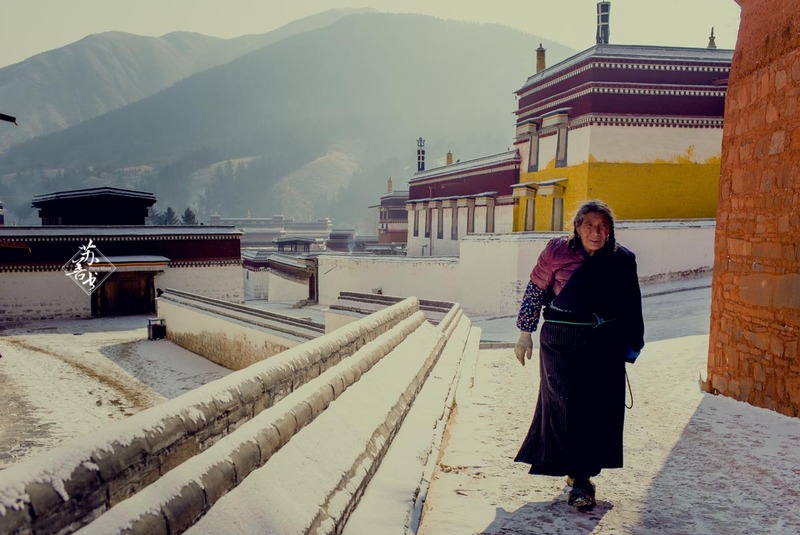 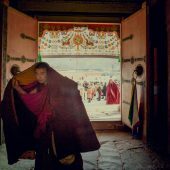 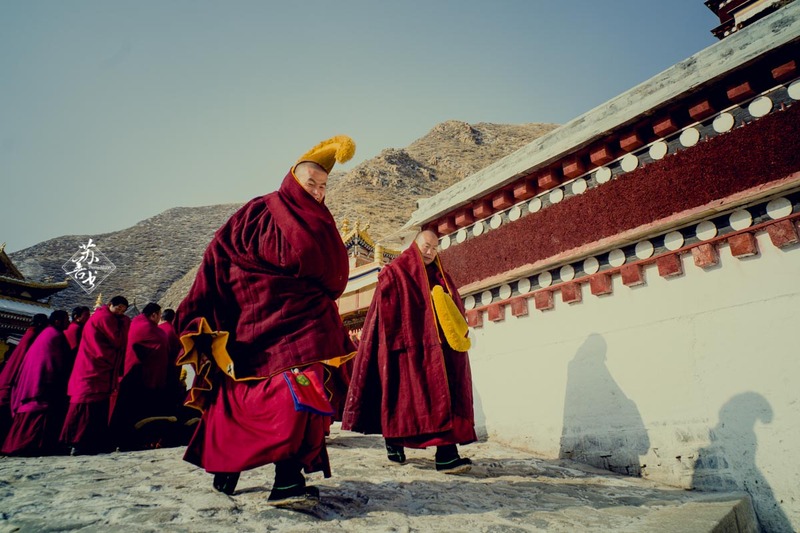 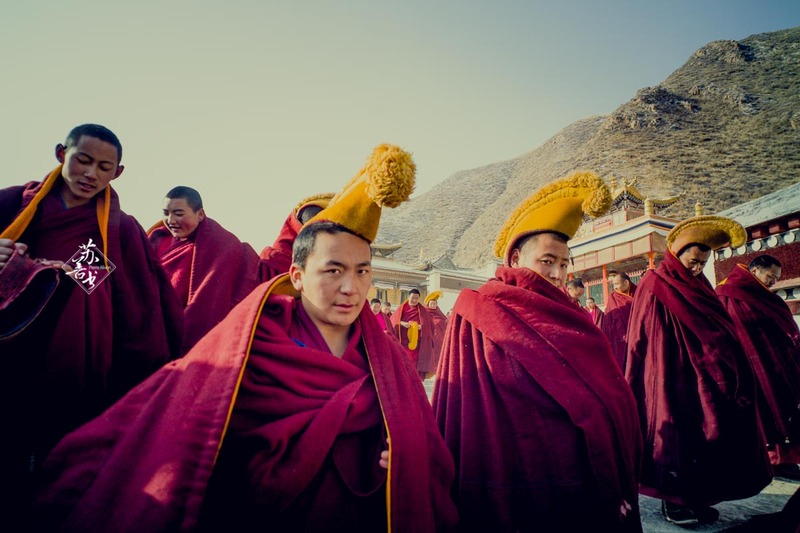 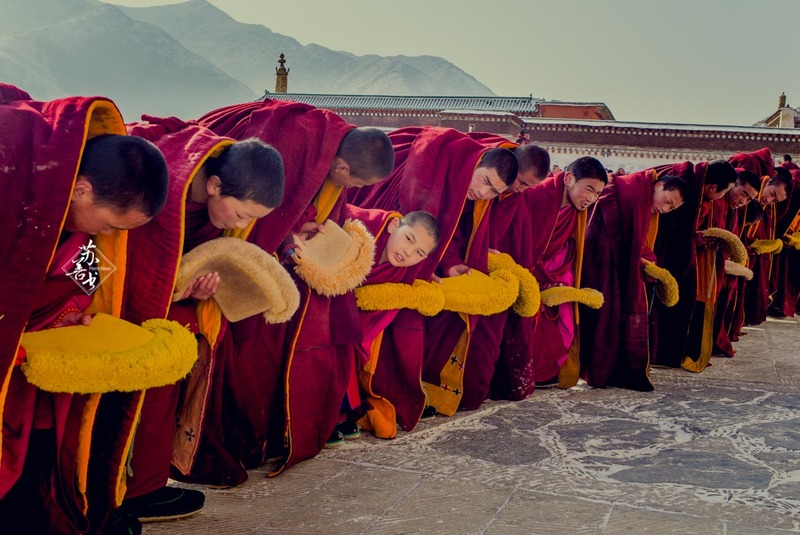 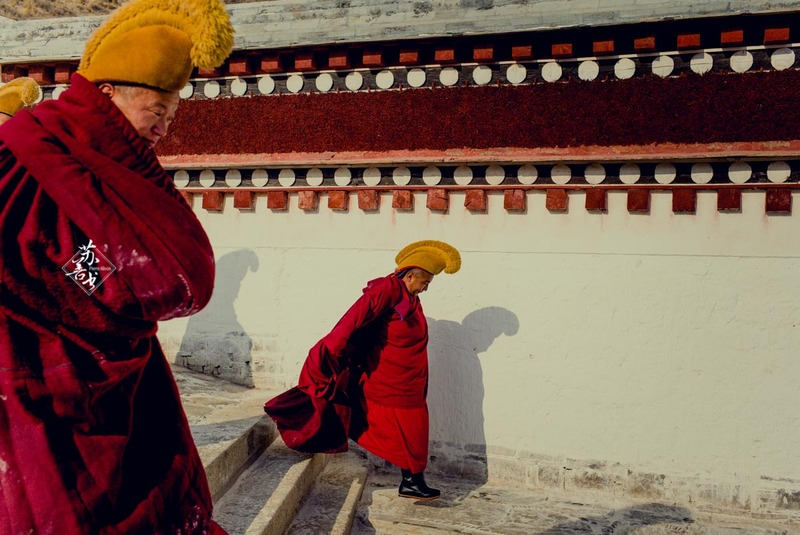 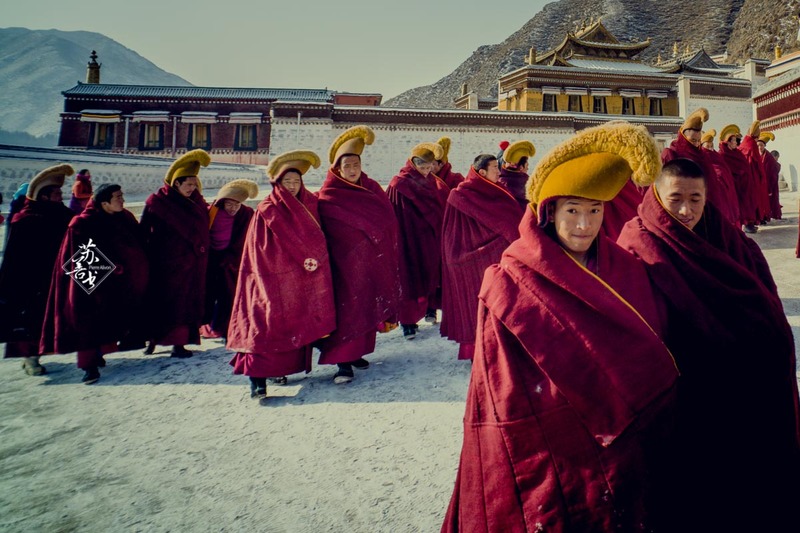 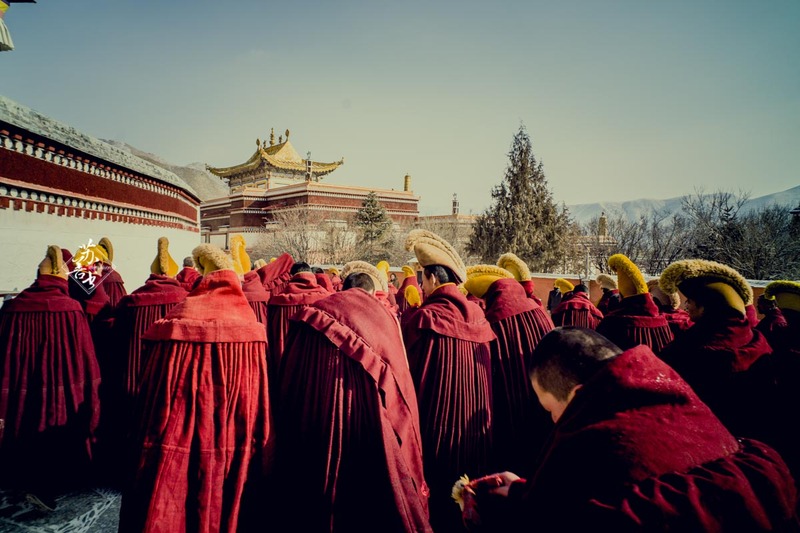 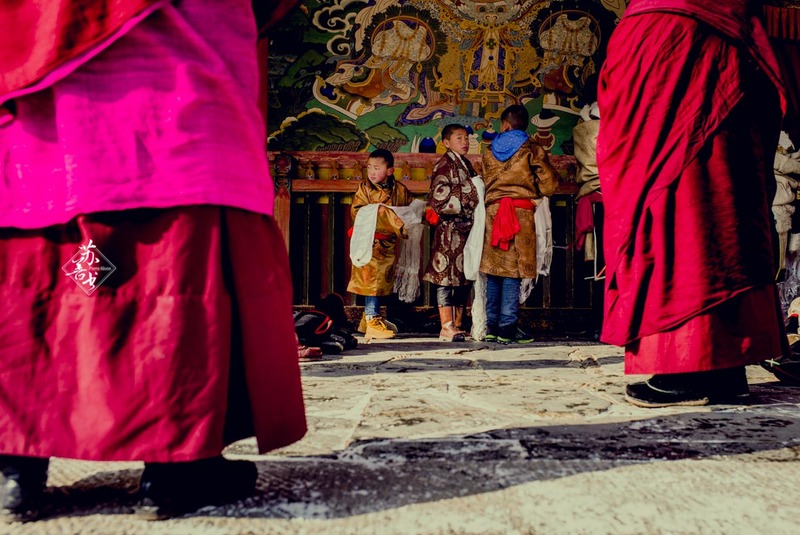 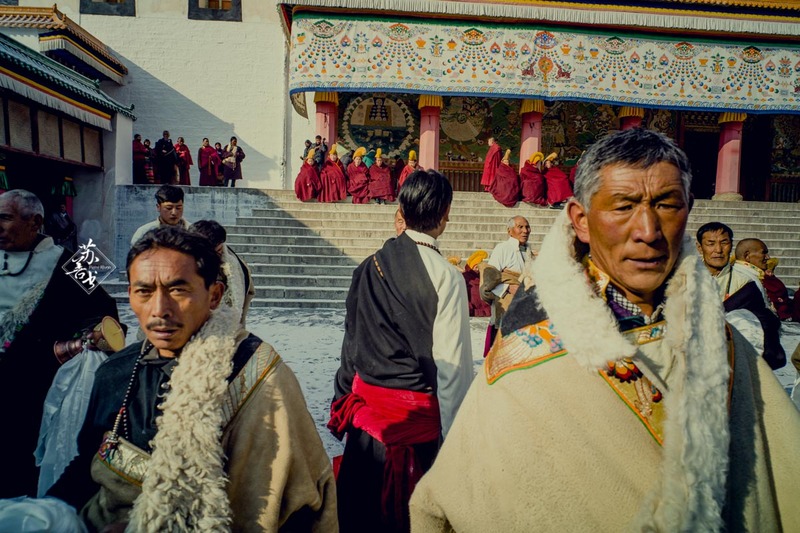 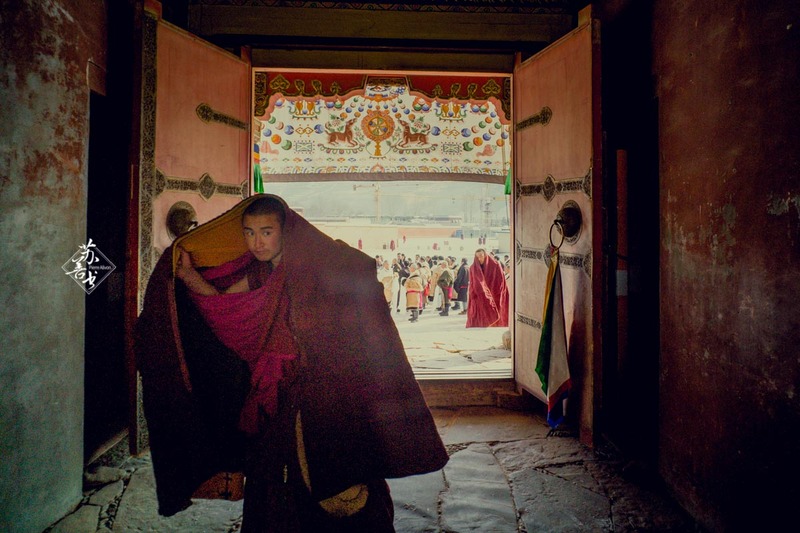 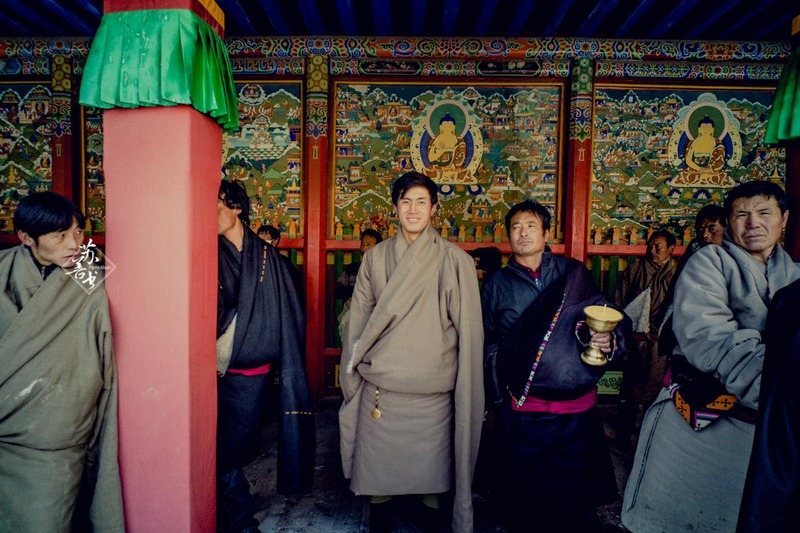 Labrang is one of the most important Tibetan monasteries in this region of China. 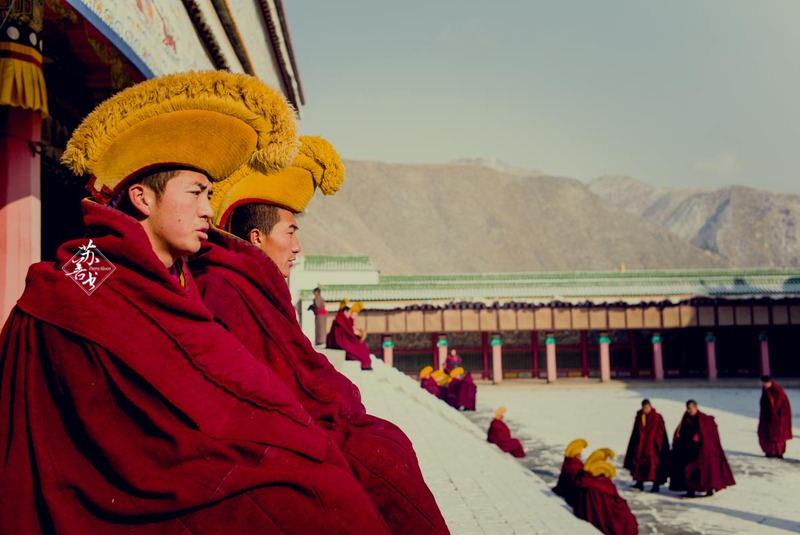 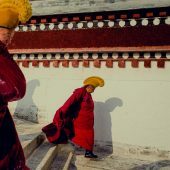 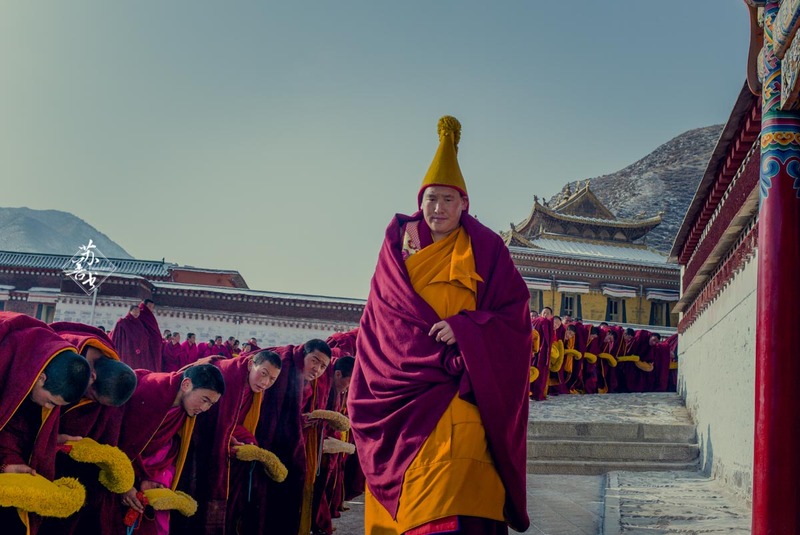 It was created in 1709, it quickly gained importance and became the center of a Tibetan power that tried to preserve its autonomy through the conflicts of history. 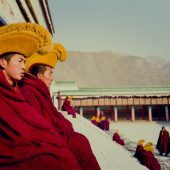 At the beginning of the last century, the monastery counted up to 4000 monks, and then the cultural revolution passed by, the monastery was long closed to reopen in the 80s. 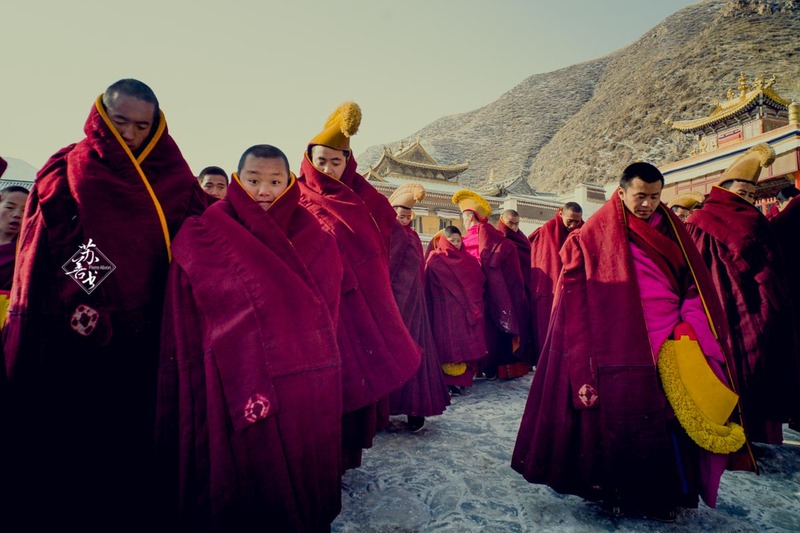 The monks quickly repopulated it but in more numbers limited (limit put in place by the government). 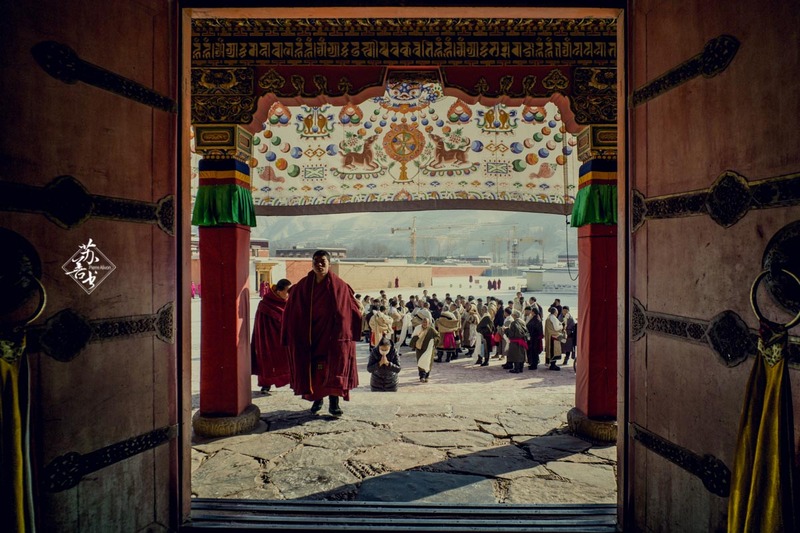 Labrang is still today the largest Tibetan monastery out of Tibet. 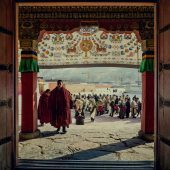 The monastery of Labrang is very extensive, it is a real small city which rubs the city "in the Chinese". 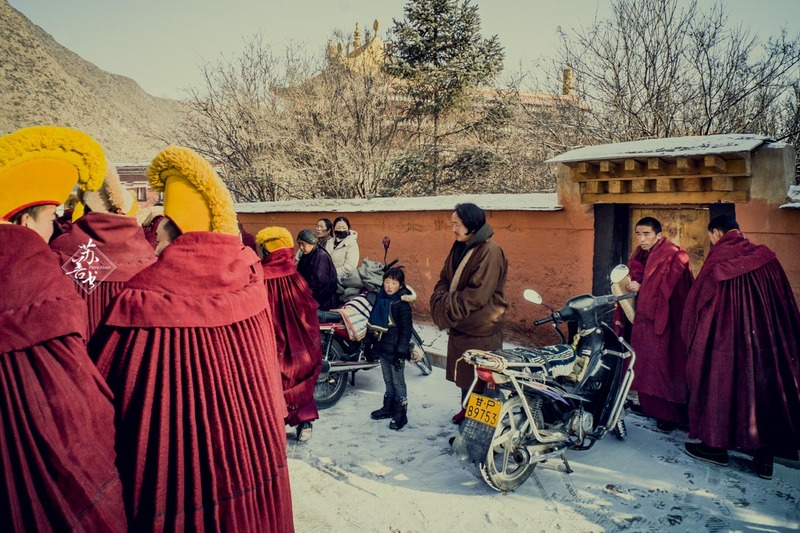 Labrang lives to the rhythm of the life of pilgrims and monks. 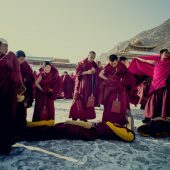 As you can see, Labrang has charmed me with its authenticity. 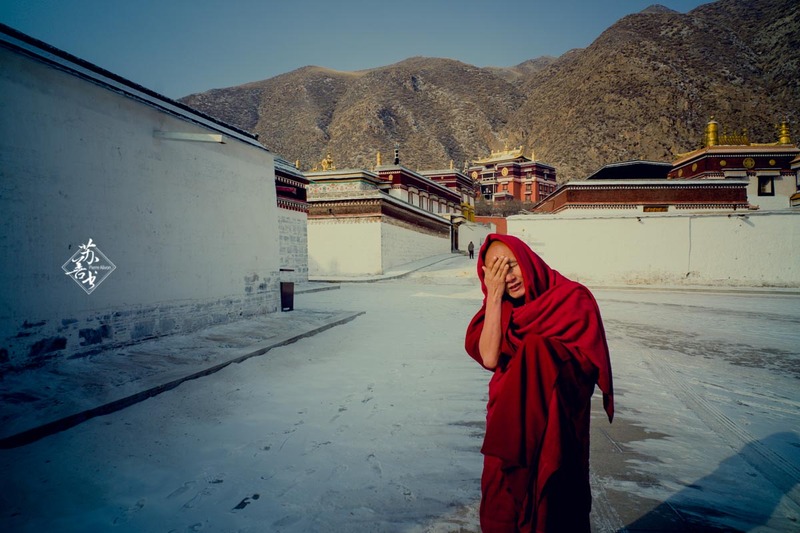 I used my Leica MP 240 to take the pictures with 35 Summicron f/2 and 18mm f/3.5 lenses.